If you want to boost up real visitors & top up your page ranking then you are in the right place! 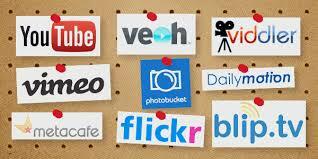 We will do your VIDEO MARKETING manually on 85 High Page Ranked (9 ~ 4) web sites. These will be your Permanent Backlinks. We will not provide any harmful BOT views to you. But additionally we will share your URL to safe video marketing communities these will definitely improve your viewer as well as PAGE RANK. We allow maximum video length 5 minutes.